Mama bear and family take a stroll under the night sky on the center panel of the Midnight Bear Quilt Collection featuring deep blues, greens and brown while the border is a traditional log cabin design in complimentary colors. 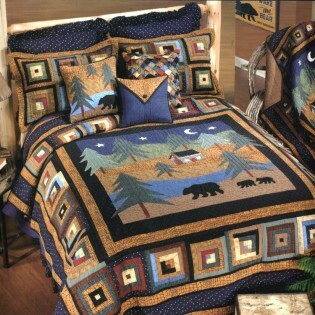 Mama bear and family take a stroll under the night sky on the center panel of the Midnight Bear Quilt Collection featuring deep blues, greens and brown while the border is a traditional log cabin design in complimentary colors. 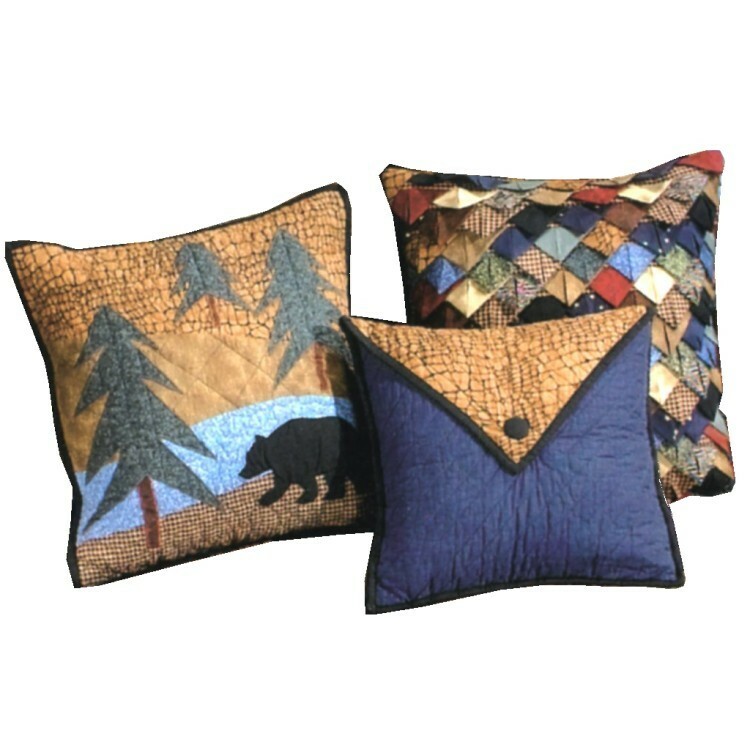 Bears, trees and cabin are hand appliqued and border is pieced.